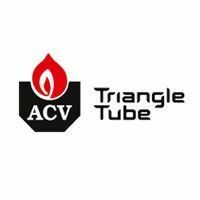 Triangle Tube (ACV brand) is a US manufacturer of high-efficiency hydronic heating equipment, including indirect water heaters, boilers and combi boilers. Smart and Comfort series high-efficiency indirect water heaters with innovative tank-in-tank heat exchanger design. Challenger, Prestige and HeatMaster wall-hung condensing and modulating boilers in heat-only and combi (heat + DHW) options.